This week, the American Academy of Pediatrics (AAP) issued some new safe sleep guidelines for infants. Part of the new recommendations include a definitive recommendation that parents should avoid crib bumpers (including mesh ones). According to the AAP, bumper pads should never be used in cribs, because there is absolutely zero evidence that bumper pads prevent injuries, yet there is a very real risk of suffocation, strangulation or entrapment for babies sleeping in cribs with bumpers. 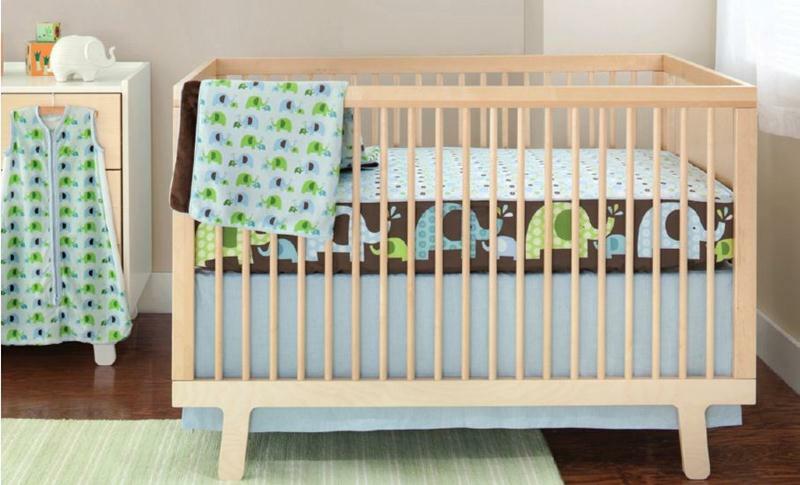 Many parents want crib bumpers, not because they’re necessary, but because they’re cute for nursery design. However, cute should never override safety, especially when it comes to your baby. Luckily, SkipHop has found a way to offer parents both the cuteness they want in a nursery set and the safety babies need with their new Complete Sheet. The brand new Complete Sheet Collection, which will be available in December, is a groundbreaking new bedding solution for babies that offers all the décor of a fully dressed crib but the safety of a crib free from bumper pads. 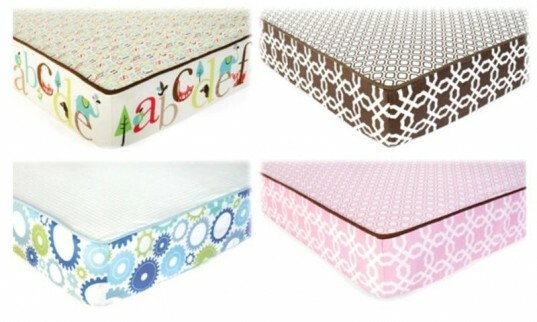 Each Complete Sheet features fun themes and coordinating patterns that surround your baby’s crib mattress (like a normal crib sheet), but the design appears on the side of the mattress, mimicking a fancy crib bumper. Each 100% cotton sheet is finished with linen piping, and are available as separates, or as part of a four-piece collection that also includes a coordinating nursery blanket, airflow wearable blanket and linen crib skirt. While we’d love to see these beautiful Complete Sheet sets available in organic cotton, we also like the fact that they offer a choice for parents determined to have a coordinating, but safe nursery set. Complete Sheet sets will be available at the SkipHop website and at other select retailers in December.